Barclays MoonTrekker is Hong Kong’s leading night trial hiking/running event that delivers a fantastic experience and raises money for it’s nominated charity. The event features two race distances, the Moonlit 27 (27km, starts at 11:20pm) and the Sunrise 40 (40km, starts at 9pm). Both races begin in Mui Wo and finish at Cheung Sha Beach (Palm Beach) on Lantau Island, where participants can have access to drinks, snacks, showers and changing rooms. This isn’t just a walk in the park! Only you know your own abilities. MoonTrekker strongly suggest participants follow the advice, have good quality tested gear (especially torch/phone) and spares. Most importantly, participants should make sure that at least some of your training hikes are done at night. MoonTrekker strongly recommend that you have completed the whole course within your training. 1. 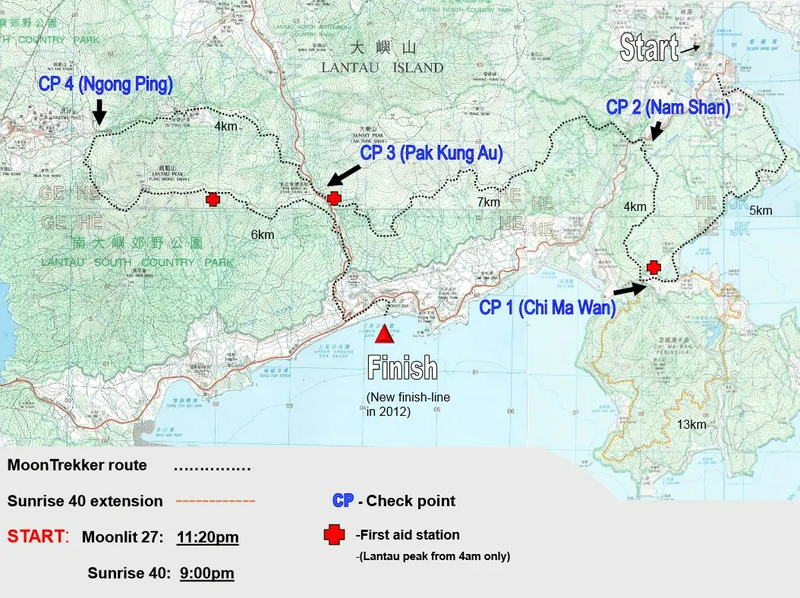 Another trail running event on Lantau Island is Translantau, which is usually held in the 1st half of the year. 2. Click here to view the stunning scenes on Lantau Trails.